K Estimating Support Ltd is a team of highly experienced electrical and mechanical estimators. We can deal with all your requirements in a confidential and cost effective way which enables you to bid on more jobs and be more successful. If you require electrical estimating, mechanical estimating or construction estimating call us now. You don’t have enough electrical estimating resource. No matter what your reason is UK Estimating Support are here to help when you need an electrical estimating service. Why use UK Estimating Support? 1. Send your tender documents. 2. Provide your discounts or wholesalers. 3. We prepare the estimate. 4. We send you our estimate reports. 5. We send you a detailed model tender letter. Our 52 stage estimating process ensures that you get a detailed and accurate estimate which has been undertaken by UK qualified and UK experienced engineers with a proven UK industry track record. Send all you tender documents to us, where we will undertake a detailed review of them to ensure that all the documentation is complete. On your behalf we contact all of the specified companies listed with the documents. After reading the specifications, we ‘take off’ and ‘measure off’ all of the services/materials from the drawings. These are first transferred to our standard take off sheets before being inputted into the computer. Drawings are normally prepared by area or by floor, so an audit trail of which drawings provided which service/material can be a useful tool in planning. This vital process usually uncovers discrepancies which are dealt with by using our “estimate notes sheet.” This records not only the discrepancies but also records how we have dealt with them. Our estimators review this sheet throughout the estimating process and when the estimate is finished they incorporate salient points into the model tender letter. The completed estimate, our standard estimating reports and all the quotes we have received are sent to you on the agreed date. A unique model tender letter is supplied which outlines what your estimate is based upon. We also include a schedule which details all the companies we have sent tender enquiries to; whether they are a sub-contractor or a supplier, whether they are specified or not and their prices. This can be used to evaluate your commercial risks and approach to the tender. Most importantly, we will be on hand to answer any questions you may have. Once your tender is submitted, usually there are post tender negoiations and prices. We can help with this process, along with producing a great schedule of rates to maximise your profit potential from variations. Call us now to discuss how we can support your business. “We are finding that estimating these days is more about what’s not on the drawings and in the specifications than what’s on them. Our background experience allows us to see the missing pieces more clearly, this is where Experience really counts,” J.Johnson MD. UK Estimating Support was established in 2004. John has over 30 years experience in the M&E contracting industry. He started his career in 1981 as an indentured apprentice with Drake and Scull and worked on a wide variety of contracts with this major M&E company. The contracts included hospitals, schools, prisons, power stations, commercial premises, chemical and petrochemical sites, WTW & WWTW. After completing his apprenticeship, John gained his City and Guilds Part 1, 2 and C certificates, ONC and HNC. John started as an estimator then moved onto become a senior estimator before managing the estimating department of a large mechanical, electrical and construction company. His experience gained commercially, contractually and practically was the key ingredient which allowed UK Estimating Support to provide a successful estimating service to mechanical and electrical contractors for the past five years. Amanda is responsible for the accounts and compiling the O&M manuals with the engineers. Amanda is a very experienced technical author with over 12 years experience gained with Unilever and has co-authored two published patents. Like John, Amanda is a founder of the business and has developed the estimating business systems that ensure we deliver a quality service each and every time. The systems are constantly evolving to ensure we continually improve speed and quality of the service. Her attention to detail ensures the very best service is provided and delivered to our customers. 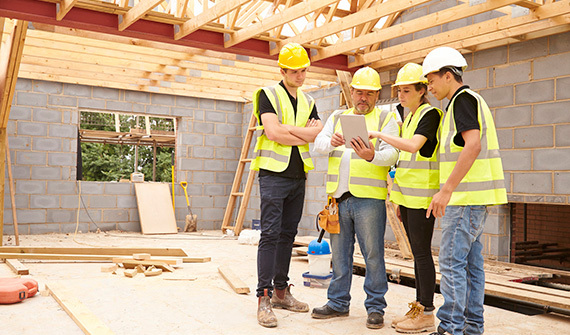 All our staff work as a team and are focused on the delivery of complex estimates to very tight deadlines. This company attitude has helped us to grow over the last five years by delivering what we promise. An example of our customer focus; Tim was faced with a two day turnaround for an estimate, we worked as a team and delivered what he needed, when he needed it. Can I just say thank you for you and your colleagues efforts today.